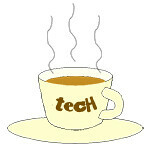 Olympus « Tech bytes for tea? The new FD-1 diffuser accessory for the Stylus TG-4 improves flash illumination for better macro pictures. Price & availability TBA. Firmware update v2.0 (available now) enables flash activation and enhanced control in the microscope shooting mode. The new FD-1 flash diffuser (left) promises beautifully diffused illumination for macro photography with Olympus’ ruggedised compact camera – Stylus TG-4 (right). Olympus has announced the launch of the FD-1 Flash Diffuser accessory for the Stylus Tough TG-4 compact camera. The FD-1 creates attractive illumination for the macro photography of nature subjects and small objects, by improving the light quality of the camera’s built-in flash. Complementing the launch of this new accessory is a new firmware for the TG-4, version 2.0. The latest firmware provides additional flash functionality for macro photography. The application of direct, on-camera flash illumination brings many benefits to macro photography with the TG-4, making close-up imaging possible in poor ambient lighting conditions. The aesthetics of direct flash illumination expands the range of creative expression available to the macro photographer. Sharper, clearer close-up shots can be also captured with a motion freezing burst of flash illumination that helps to overcome camera-shake.